Let us help you overcome your back pain, neck pain, shoulder/arm pain, sciatica, leg pain, and your headaches. We can help relieve the pain caused by a herniated disc, degenerative discs, or spinal stenosis. Dr. Weitz is a certified sports chiropractor and has specialized training in diagnosing and treating your shoulder, elbow, wrist, hand, hip, knee, ankle, or foot pain, whether it is related to the joints or the muscles and tendons and ligaments that support these joints. Do you suffer with abdominal/intestinal discomfort? Do you suffer with gas, bloating, diarrhea, and/or constipation? Do you deal with acid reflux with antacids or medications like Prilosec? Do you want to lose weight, have more energy, and sleep better? Natural solutions for digestive disorders. We are dedicated to helping you achieve optimal health. Do you want to manage your hypertension naturally? Do you want to reduce your risk of heart disease without taking medications? Control your blood sugar using diet, stress reduction, exercise, and nutritional supplements. Do you want to regain the peak health you had in your youth? I’m a Sports Chiropractor who works with professional athletes, weekend warriors, and non-athletes. I’ve helped thousands of patients over the last 30 yrs. recover from back pain, neck pain, rotator cuff shoulder tendinitis, sports injuries, headaches, tennis elbow, hip & knee strain, plantar fascitis, TMJ, & other musculoskeletal injuries. I utilize specialized massage techniques, along with gentle manipulation, & other therapies, including ultrasound, ems, laser, & therapeutic exercises to treat your joint and muscle pain. As a Functional Nutritionist, I’ve coached many patients to lose weight & lower their cholesterol, inflammation, blood pressure, & blood sugar levels. I have assisted patients in reversing or managing many chronic health conditions, including diabetes, heart disease, digestive disorders, hormonal imbalances, autoimmune diseases, & even the side effects of cancer treatment. 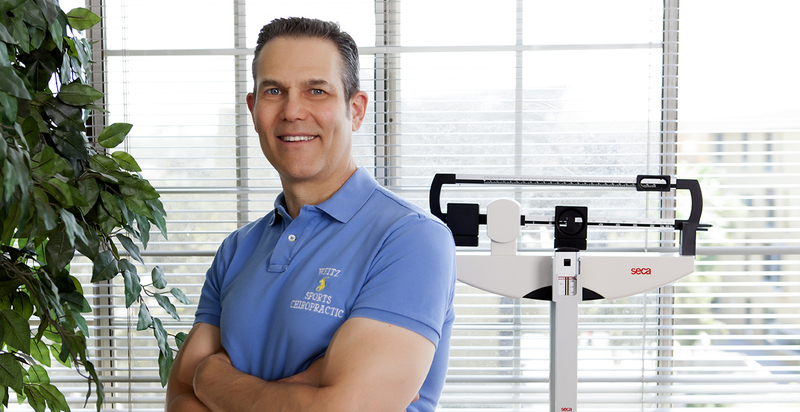 I have helped many clients to lose bodyfat and improve their health, including increasing their energy levels, developing clearer cognitive abilities, and being able to sleep better. I have also worked with professional athletes to maximize their sports performance and minimize injuries.